Catherine began playing the violin at the age of 5. At 13 she started to study with Sidney Griller, Professor of Violin at the Royal Academy of Music in London. She went on to gain a Bachelor of Music degree at the University of Manchester. In 1987 she was awarded a Fulbright Scholarship and an Eastman Fellowship to study at the Eastman School of Music in Rochester, New York. She completed a Masters degree there studying with Zvi Zeitlin. On her return to England she concluded her studies with Felix Andrievsky at the Royal College of Music. 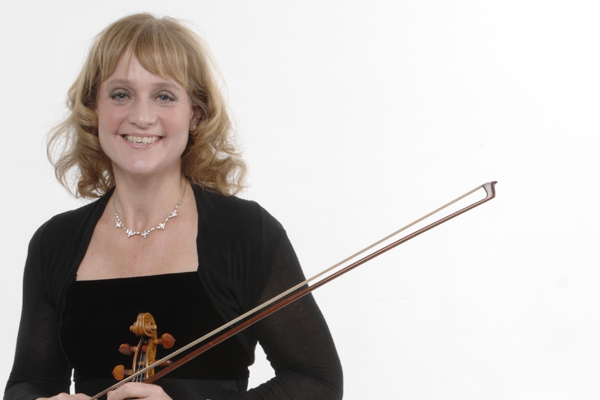 In 1990 Sir Simon Rattle appointed Catherine Sub-Principal Second Violin of the City of Birmingham Symphony Orchestra. Since then she has dedicated her professional life to performing, touring and recording with the CBSO, along side a busy programme of educational activities off the concert platform. Her latest creative adventure has been the formation of The Stringcredibles, a string quartet of CBSO musicians dedicated to inspiring creativity, supporting instrumental learning and connecting new audiences to culture. Catherine has an interest in governance and is a member of the board of the Association of British Orchestras. She was also a Player Trustee on the CBSO board for many years. She has published articles in Classical Music Magazine, Symphony Magazine and Arts Professional and has presented at conferences both nationally and internationally. She lives in Harborne, Birmingham with her husband Jonathan, and their 3 children, Katie, Lucy and Ben.